For LeBron James, the fundamental difference between the NBA and the NFL is the level of respect shown players by the respective leagues and their team owners. The Lakers forward, who in recent years has become an increasingly outspoken advocate for professional athletes on matters of race and politics, took the NFL and its owners to task on the latest episode of “The Shop,” which aired Friday on HBO. James, a four-time NBA MVP, made the comments in an extended conversation with his business partner Maverick Carter, Los Angeles Rams running back Todd Gurley, and the actor/rapper Ice Cube. The NBA and the NFL have had strikingly different approaches to player activism. In the NBA, James and others have worn T-shirts during warmups in recognition of victims of police violence with no repercussions from the league. By contrast, former San Francisco 49ers quarterback Colin Kaepernick set off years of controversy and debate when he knelt during the national anthem as a means to protest racial injustice. The NFL and Commissioner Roger Goodell responded by instituting strict guidelines for player conduct during the anthem. Kaepernick, who has not appeared in an NFL game since the 2016 season, ultimately filed a grievance against the league’s owners, alleging they colluded to keep him sidelined as a response to his protest. Over the summer, San Francisco defensive back Richard Sherman accused Dallas Cowboys owner Jerry Jones of possessing “the old plantation mentality” for requiring his players to stand at attention during the national anthem. As Friday’s conversation on “The Shop” continued, James noted the central role that NBA and NFL players have held in growing their respective sports and suggested that NFL owners prioritize short-term results over the long-term success of individual players. 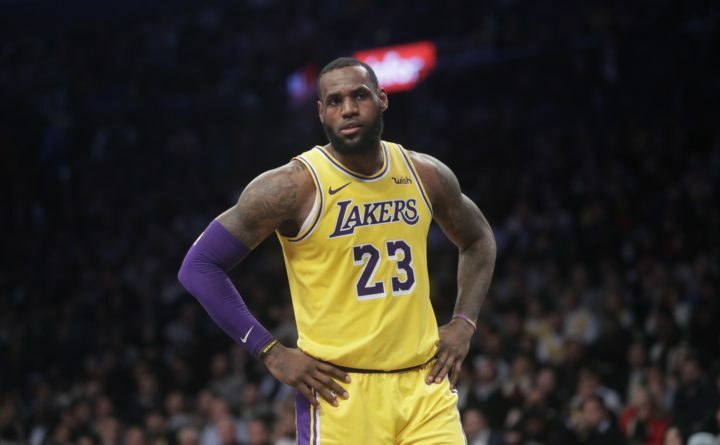 James stressed that he and other NBA players have still encountered resistance, even though they’ve been careful to take a non-violent approach to their activism. Set in a barbershop, “The Shop” is a 30-minute conversational show. James and Carter are executive producers of the show, which is a collaboration between HBO and James’ “Uninterrupted” media company.